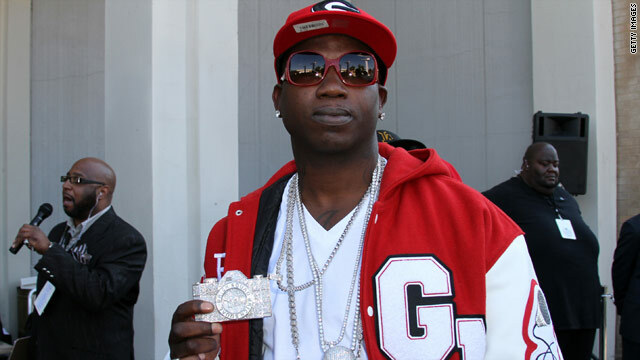 Atlanta police have issued an arrest warrant for rapper Gucci Mane who allegedly struck a man on the head with a champagne bottle at a downtown Atlanta nightclub. The man told police he tried to begin a conversation with the rapper at the Harlem Nights Ultra Lounge club when he was "suddenly struck." So is that a gansta rap? As I'm in favor of hearing both sides, so I'll try to reserve judgement! However, it is disturbing to continously hear about rich young hiphop artists trashing night clubs & harming people w/bottles, flying bottles, crashing bottles, smacking bottles! The truly need to settle down & listen to the wisdom of Russell Simmons: I'm always gonna keep it real for my hood, but I'm rich now, I don't need no drama! I don't need to "run up" on anybody! I don't want that drama anywhere near me! !